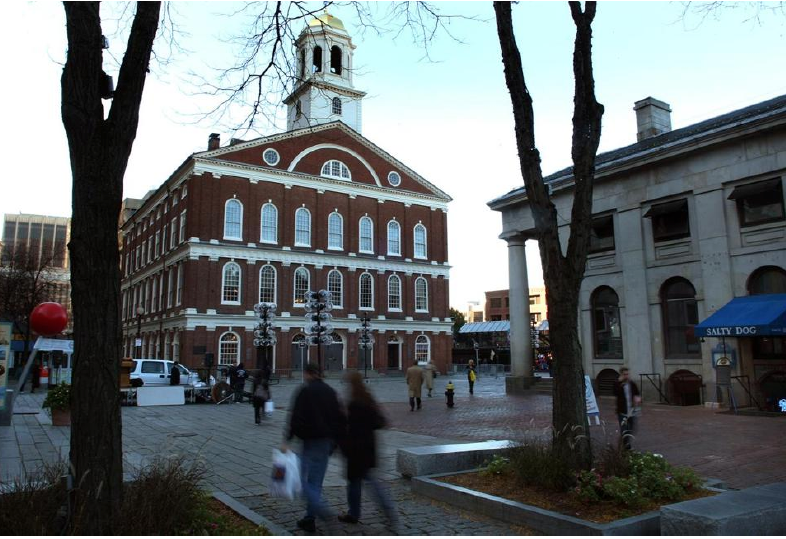 The Boston Redevelopment Authority’s board approved a master plan to overhaul Faneuil Hall Marketplace Thursday, marking the first time the city has publicly endorsed the controversial project. The operator of the city-owned property, Ashkenazy Acquisition Corp., proposed a sweeping plan last year to update the tired marketplace and make it a more appealing year-round destination for locals and tourists. The plans have drawn the ire of longtime merchants, who turned to City Hall to vent concerns about the future of their businesses and a perceived lack of transparency in the renovation process. A BRA vote on the full plan was not mandatory for the renovation to take place, though the authority and the Boston Landmarks Commission must sign off on some aspects of the redesign. But the city has intervened in recent months to propel conversations about the plan and establish a quasi-approval process for the overall concept. The BRA recently held closed-door meetings between Ashkenazy and the Faneuil Hall Merchants Association to try to clear the air. The development authority also hosted a public meeting earlier this month to gather additional input on the plan, and the tenor of talks seemed to improve recently. The BRA asked Ashkenazy to present its master plan to the authority’s board at a monthly meeting Thursday. By signing off on the concept with a unanimous vote, the board provided key political support and paved the way for it to move forward. “I’m really happy about it,” said Barry Lustig, vice president at Ashkenazy. “We’ve been working really hard with the BRA and the [landmarks commission] to come up with a program that appeals to everyone in the city. I’m excited about it.” Marilee Meyer, a spokeswoman for the Save Faneuil Hall Marketplace coalition, questioned why the BRA voted after just one public meeting. She said the vote was premature because the public still has not heard key details about the plan, including how the structure of the building will change. Jeff Allen, the owner of Boston Pewter Co., said he was happy the BRA approved the vision because the marketplace needs its infrastructure updated. The BRA is following a similar process to weigh in on the overall concept as it did prior to the last major update to the marketplace, in 1988, according to spokesman Nicholas Martin. At that time, the authority cited concerns about the plan at an initial meeting but approved the project six months later, Martin said. Ashkenazy intends to replace the food court in Quincy Market with a more modern assortment of restaurants, bars, and quick-service eateries. It also plans to add a boutique hotel in the South Market. Martin said the BRA must approve the proposed hotel and other pieces of the plan for it to move forward. Separately, the Landmarks Commission must review changes to the historical nature of the property. Last month, the commission denied plans for two new glass structures and delayed demolition of a greenhouse near the front of the property.